Should I tell her that she reminds me of the Vladimirka ?! How odd, how awful !! Of all the paintings, of all the portraits, couldn’t I find a more joyful one ? Or even a portrait to make the “similarity”, the “resemblance” more natural, more credible, more human ?!! Couldn’t I find but the Vladimirka ?! Au temps des tsars, C’etait la route qui reliait Moscou a Vladimir; c’etait la route de la Siberie, de la déportation, de l’exil.. You take it only once ! 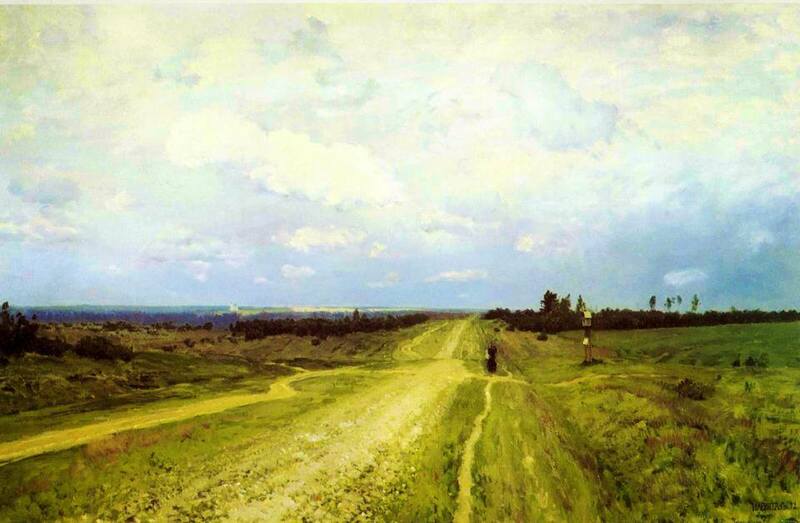 For Levitan, those open, grey white skies, those wide horizons are not signs of hope, but roads of despair !! The 1st time I saw Tatiana, she struck me in a strong, very strong, but very odd way: Attraction ! Not sexual, not romantic..but an immense attraction nonetheless, I don’t know how to describe it precisely, it is like the feeling you have, almost sure of, that she is the kind of person who understands everything about life, that whatever is on your mind, whatever worries you, you can tell her and it is ok…she understands and all burdens would be lifted…almost like an impersonated anima, Jung would not have found a better incarnation !! You see ?! How can you tell a person this ?! Any person ? He/she would think you are not just weird, odd, out of your mind, insane..she would be sure you are out-rightly mad… especially if you believe it truly and at the same time, you know that no human can be like that ! Time passed and I almost forgot about Tatiana..
Then she came tonight ! That “awe” lessened a bit, but that sense of wonder persisted unabated…what is this in her that attracts me so much ? Ok, she is a very beautiful lady..but she is not the most beautiful of them all ! There is something in her that I decided is a major factor in my attraction: she is mature !! A very rare “commodity” these days..
Am I moonstruck, dumbstruck ?? May be, but not in love…!! In the regular meaning of it..
My mind is working on overdrive and I have to talk to this one and to that other one..and to focus on the evening…when in the background I heard Ignacio Carillo singing Lacrimas Negras…I love this song too much, but this time, I wanted it to stop right away, I can’t concentrate anymore…i can’t at all ! …Then, it dawned on me…it is the same feeling when i 1st looked at Levitan’s Vladimirka !! Now I understand Proust, when to express a feeling, he talked about a painting too..perhaps sometimes, that’s the only way..words are too mediocrely inefficient ! …But not the desolation in the Vladimirka, not at all; but the beauty in it, the serenity, the wisdom..the patience, the hope. The hope that life is still full of endless possibilities !! 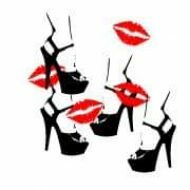 Tatiana, I know you would understand..i am sure..even if all of this is the product of a wild, unrestrained imagination..
Feminism and ad-Dajjal (the Anti-Christ)! Thank you for sharing with us your true feelings… I was touched… 🙂 and such a beautiful way to describe a woman you admire! Are you a Lebanese man? For real?